South Korean and North Korean athletes entered under the same flag during the opening ceremony of the 2018 Winter Olympics in Pyeongchang, South Korea. North Korea ice hockey player Chung Gum Hwang and South Korean bobsledder Won Yun-jong were joint flagbearers. Russian athletes came in under the neutral Olympic flag during the ceremony. Russia is banned from the Games, and the forthcoming Paralympics, as a consequence of the 2016 McLaren report which claimed more than 1,000 of its sportspeople benefitted from state-sponsored doping. The International Olympic Committee (IOC) invited 169 Russians who have met the anti-doping criteria to compete as independent athletes and their team will be known as the ‘Olympic Athletes from Russia’. An estimated 35,000 spectators inside the Olympic Stadium were given seat warmers, wind shields, hats and gloves with temperatures as low as -6C during the two hour-long ceremony. Senior political figures from North Korea and the United States – two of the countries at the center of the political row – were both present. Kim Yo-jong, the influential sister of North Korea leader Kim Jong-un, was sat one row behind VP Mike Pence in the VIP section. South Korea’s president Moon Jae-in shook hands with Kim Yo-jong and said at the ceremony: “I would like to take this opportunity to convey greetings and a message of friendship from the people of Korea. North Korea announced it was to send a delegation to Pyeongchang in January after it met its South counterparts in their first high-level talks in more than two years. 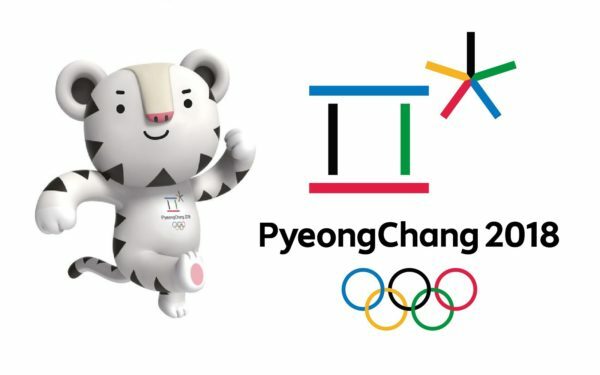 The North Korean team consists of 22 athletes who will compete in five sports, although their women’s ice hockey players will compete in a unified Korean team. They played together for the first time on February 4 in their only practice match, which they lost 3-1 to Sweden. The ‘wow moments’ in the ceremony included the formation of the Olympic Rings made up of 1,218 drones – a Guinness World Record for drones used in a performance – and 100 skiers. There was also ‘the vision of peace in the sky’ which was a constellation inside the arena, while ‘the balance of yin and yang’ saw Korean drummers perform in unison before forming the South Korea flag. And the center of the stadium was lit up in the eye-catching ‘link to the world’ segment. It all culminated in the ceremony centerpiece, which was the traditional lighting of the Olympic flame. That saw the final torchbearer Yuna Kim, who won Olympic ice skating gold in 2010, at the top of a slope light the flame as 30 fire rings ascended towards the white moon-shaped porcelain cauldron.